Delta Air Lines is America’s fastest growing international airline, serving 458 destinations in 99 countries and is the world’s leading carrier between the USA and Europe. Delta estimates that 5% of its ticket sales remain paper-based. This equates to approximately 4.5 million paper tickets per year, primarily sold through the company’s field ticket offices and via inter-line agreements with other airlines in order to receive payment for these transactions. 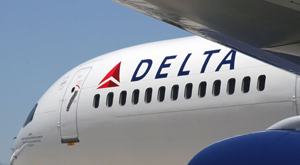 Delta must capture and process the data printed on each ticket using its Passenger Revenue Accounting System, a paper lift scanning process within its revenue accounting system. Delta’s primary goals were to recognise revenue faster and improve the quality of data captured. Bill Weaver, Vice President at IBML and a respected business associate in the airline industry referred Delta to ARIES, a proven, industry-specific data capture, archive and ticket retrieval solution developed by Pregem. Delta implemented the system for its revenue accounting data capture operations, together with a comprehensive suite of ARIES ticket archive and retrieval technology and services, for its new RevPipe accounting system project. These include direct retrieval of images from Delta’s very large legacy FileNet archive and the ability to retrieve travel documents independent of the source e.g. electronic or paper. Manager, Revenue Pipeline, Delta Technology.